Combines mild surfactant agents for a gentle shampooing experience, provides extra moisture for hair and scalp, and can also be used daily. 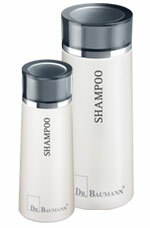 Use CONDITIONER SPECIAL and HAIR REVITALIZING LOTION for perfect hair and scalp care after shampooing. Suitable for all hair types, even in the case of issues with dandruff or your scalp.